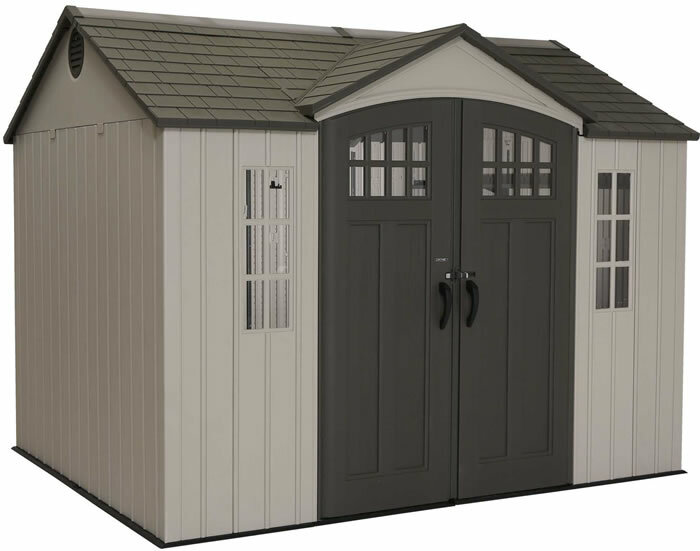 The Lifetime 10x8 shed 60118 gives you the extra storage space you've always needed while accenting the beauty of your backyard. 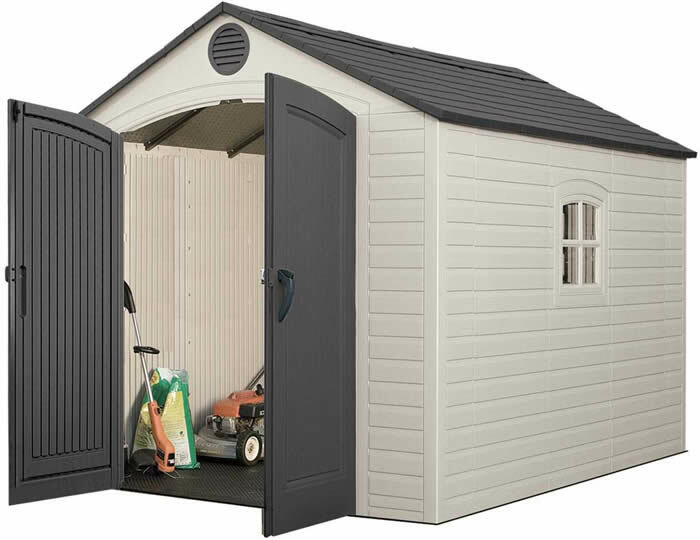 The centralized location of the doors on our side entry shed provides easy storage access for mowers and more. 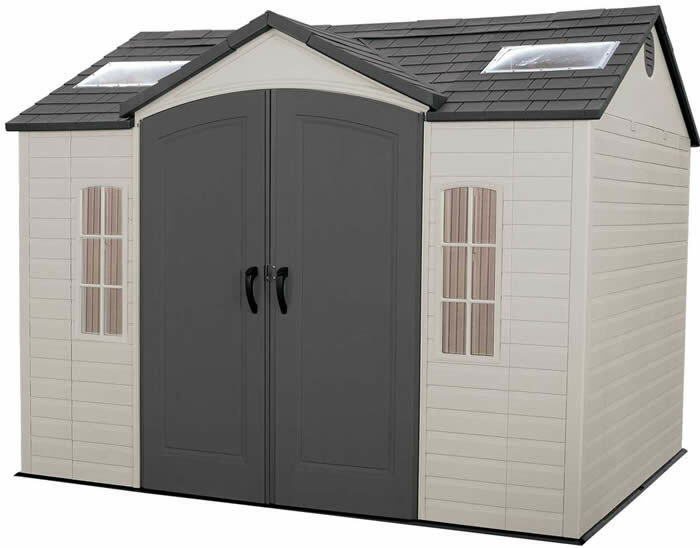 The decorative shutters, molded wood-grain panels and simulated shingled roof give this shed a modern day look. 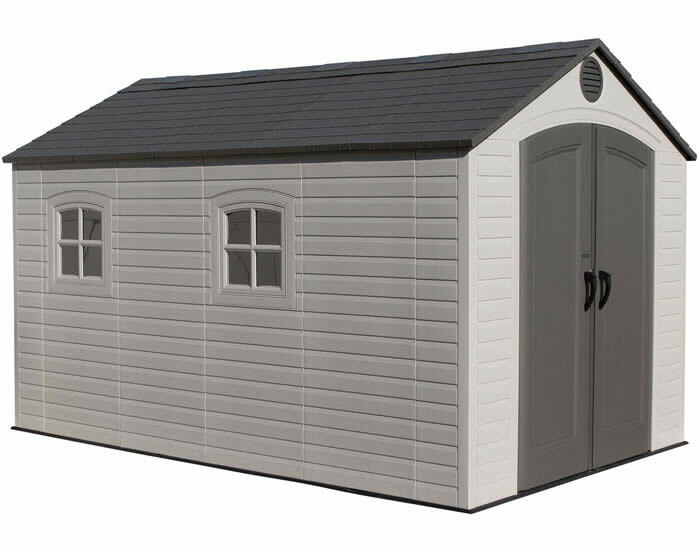 The attractive design of your new storage shed will be the envy of your neighborhood! 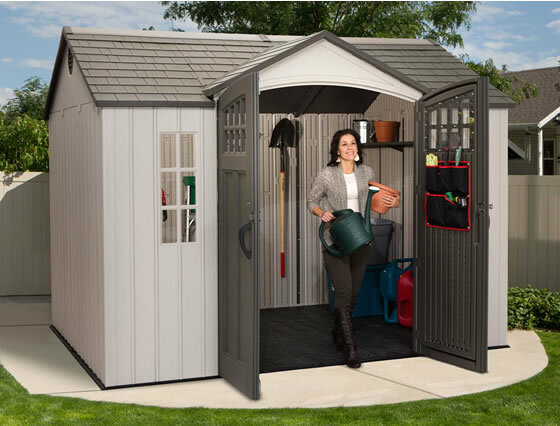 The Lifetime 10x8 shed 60118 features: vertical siding, slider latch lock mechanism, (1) ridge skylight, (2) side windows, (2) screened vents, (2) 90" x 9" shelves, wall hooks, tool storage pouch and a 10 year limited warranty. 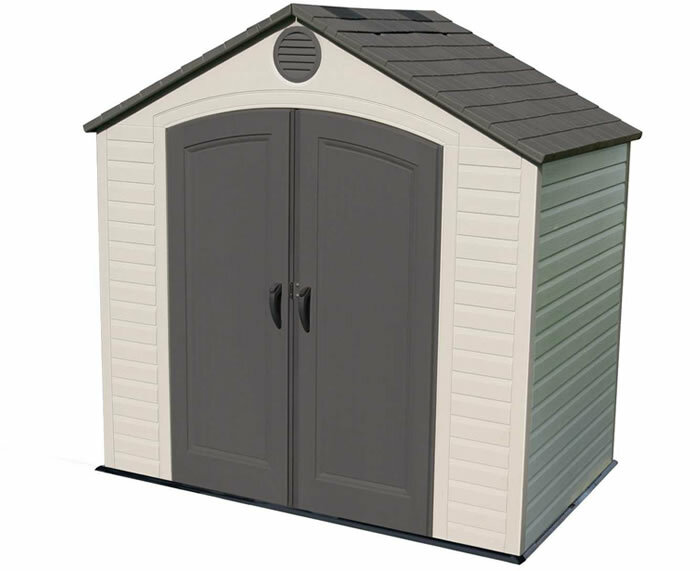 Wood-grain textured plastic flooring and installation hardware included. Comes in (2) boxes. 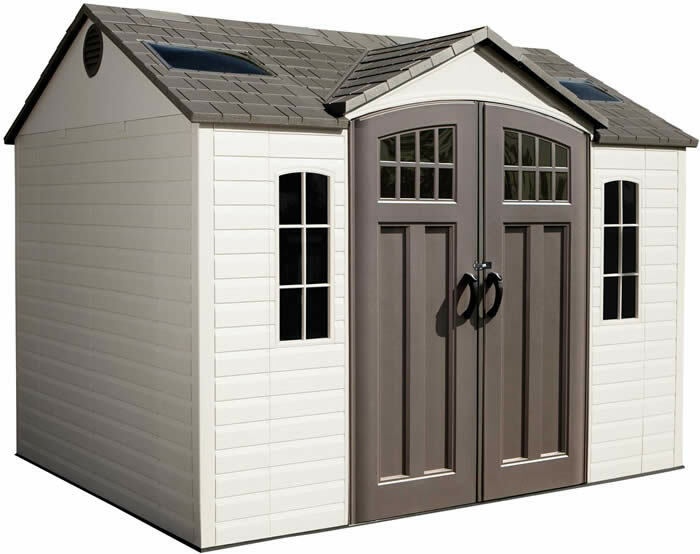 Windows Size: 27.5" x 8.75"